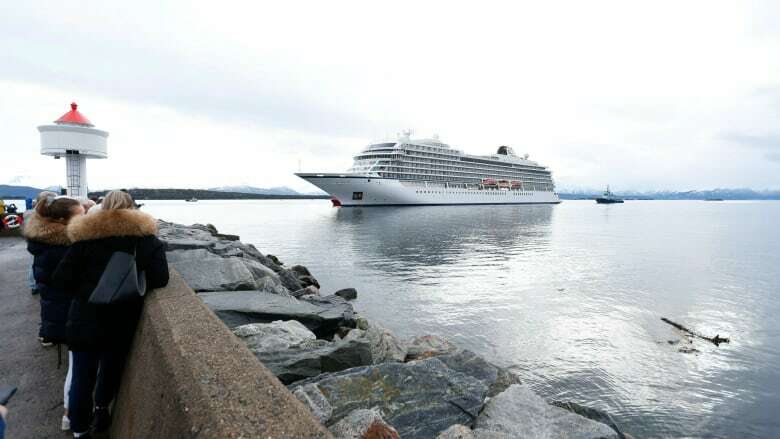 The Viking Sky cruise ship has arrived at port after a harrowing series of helicopter airlifts that rescued half its passengers from the vessel, which became disabled in rough waters off the western coast of Norway. A Viking Sky cruise ship arrived at port on Sunday after a harrowing series of helicopter airlifts that rescued half its passengers from the vessel, which became disabled in rough waters off the western coast of Norway. Rescue officials said 479 passengers had been rescued from the ship by Sunday, thanks to an airlift that began the previous day after the vessel — carrying 1,373 passengers and crew— sent a mayday call and reported engine trouble. The airlift was then halted as two tugboats guided the vessel toward the nearest port. Accompanied by the boats, the ship limped into the Norwegian port of Molde, with 436 passengers and 458 crew members remaining on board. 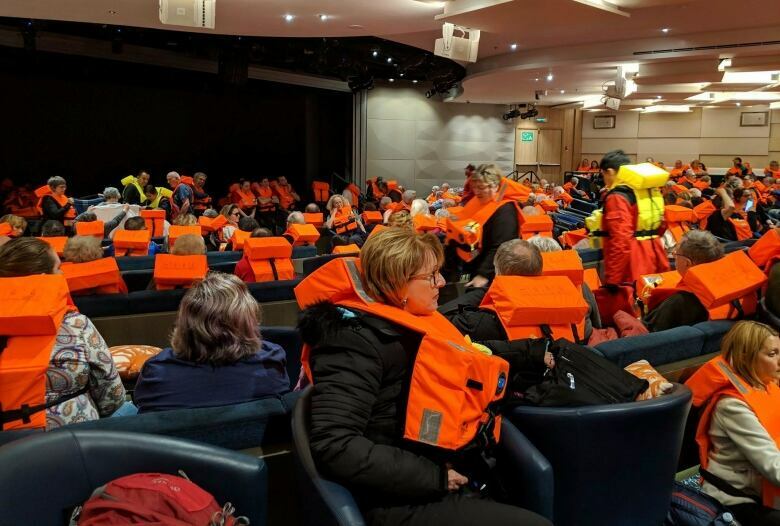 "We understand 20 people suffered injuries as a result of this incident, and they are all receiving care at the relevant medical centres in Norway, with some already having been discharged," Viking Ocean Cruises, the company that owns and operates the ship, said. "We saw two people taken off by stretcher," passenger Dereck Brown told Norwegian newspaper Romsdal Budstikke. "People were alarmed. Many were frightened, but they were calm." Global Affairs Canada said there were 15 Canadians on board at the time of the incident and are providing consular assistance to one citizen, who has been injured. Passenger Alexus Sheppard told The Associated Press in a message sent from the Viking Sky that people with injuries or disabilities were hoisted off the cruise ship first. Horgen, 62, said he knew something was badly amiss when the guests on the tossing cruise liner were all brought to the ship's muster point. He felt sure the end had come when a huge wave crashed through glass doors and swept his wife, Judie Lemieux, about nine metres across the floor. "When the windows and door flew open and water swept people and tables 20 to 30 feet, that was the breaker. I said to myself, 'This is it,'" Horgen recalled. "I grabbed my wife, but I couldn't hold on. And she was thrown across the room. And then she got thrown back again by the wave coming back. Hands and faces of fellow passengers were cut and bleeding from shattered glass, he said. An experienced fisherman, Horgen said he had never experienced such rough boating conditions. 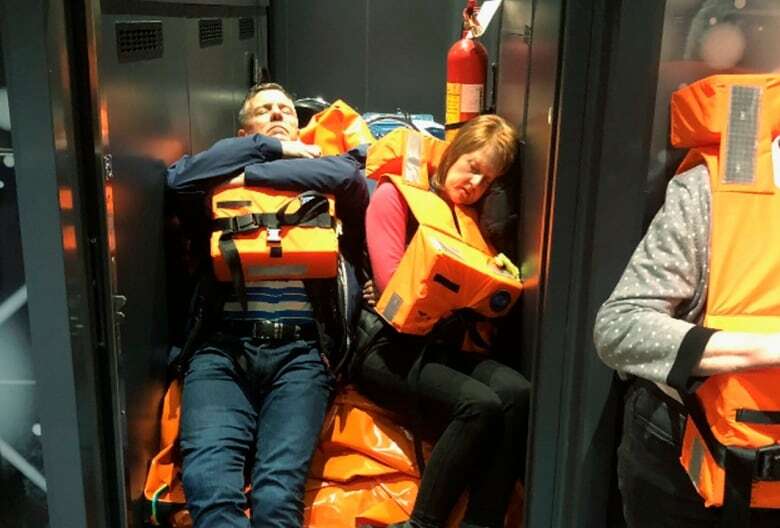 Rescue workers had to hoist passengers one-by-one to safety as heaving waves tossed the ship from side to side and high winds battered the operation. The Viking Sky issued the mayday call as bad weather hit and it started drifting toward the rocky shore. 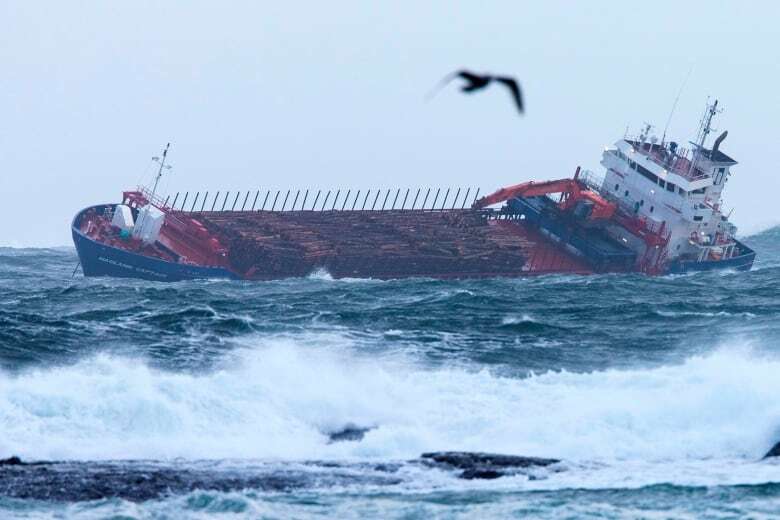 Coast guard official Emil Heggelund told the newspaper VG it's believed the ship was only 100 metres from striking rocks under the water and 900 metres from shore when it stopped and managed to moor. Rescue teams with helicopters were sent to evacuate the ship under extremely difficult circumstances, including gusts up to 38 knots (70 km/h) and waves over eight metres. As the weather eased, a decision was made to halt the rescues and head to Molde, where the vessel arrived around 11:30 a.m. ET Sunday. 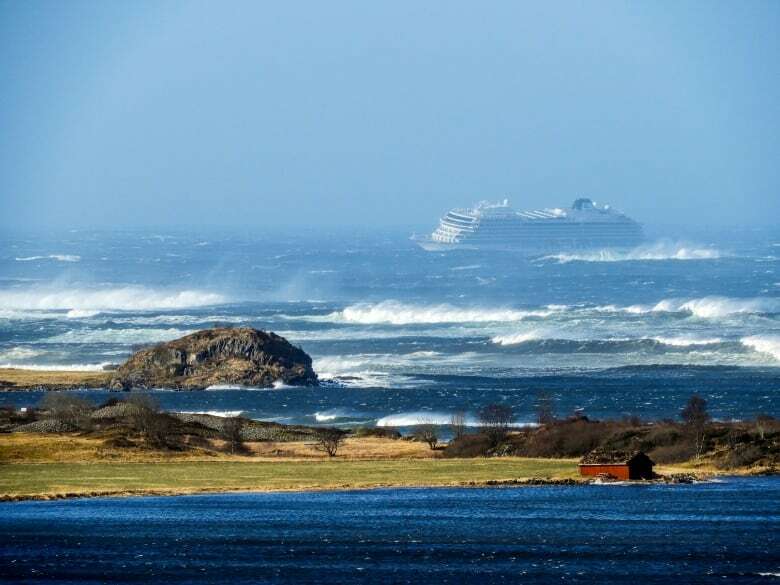 Meanwhile, a freighter has experienced an engine seizure in the same stormy Hustadsvika Bay region off western Norway where the cruise ship became disabled. Authorities say they have had to divert two of the five helicopters rescuing the Viking Sky passengers and crew to help the Hagland Captain cargo vessel's crew of nine.